A mural by Rachel Baxter along Water Street. The guided tour, led by mural curator Tony Iadicicco, will stop at several public artworks around Albany. 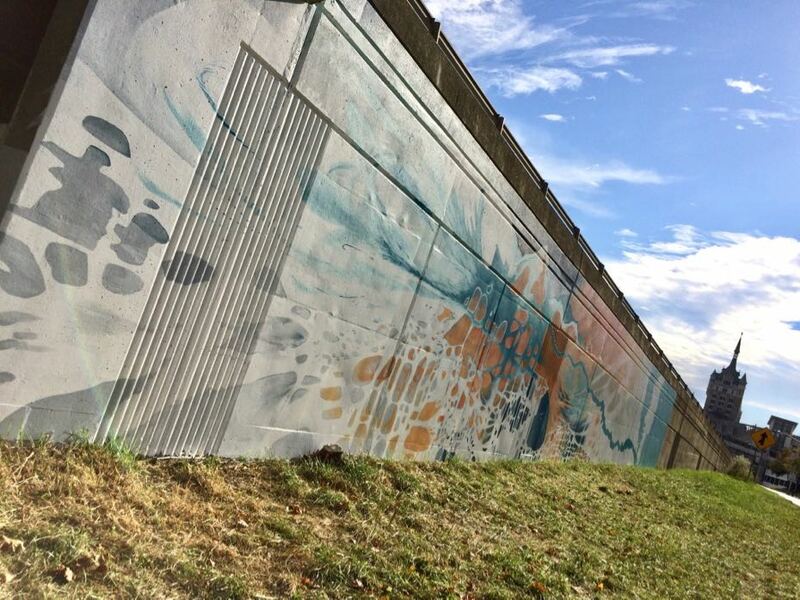 Mural artists Rachel Baxter, Michael Conlin, Cara Hanley and Sylvie Kantorovitz will join us on the tour, with each having a chance to talk about the inspiration for their mural as well as their artistic process. The tour is that Saturday from 11 am to 1 pm. Tickets are $25 and include the tour, a beverage at Loch & Quay, refreshments at the Olde English, and a Capital Walls mural pin. You'll also be supporting a stipend for the artists.